This version of the specification is obsolete and has been replaced by the document at http://webaudio.github.io/web-audio-api/. Do not attempt to implement this version of the specification. Do not refer to this version except as a historical artifact. The introductory section covers the motivation behind this specification. This API is designed to be used in conjunction with other APIs and elements on the web platform, notably: XMLHttpRequest (using the responseType and response attributes). For games and interactive applications, it is anticipated to be used with the canvas 2D and WebGL 3D graphics APIs. This is the Editor's Draft of the Web Audio API specification. 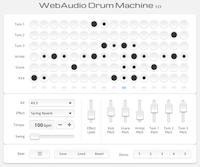 It has been produced by the W3C Audio Working Group , which is part of the W3C WebApps Activity. Please send comments about this document to <public-audio@w3.org> (public archives of the W3C audio mailing list). Web content and browser developers are encouraged to review this draft. Audio on the web has been fairly primitive up to this point and until very recently has had to be delivered through plugins such as Flash and QuickTime. The introduction of the audio element in HTML5 is very important, allowing for basic streaming audio playback. But, it is not powerful enough to handle more complex audio applications. For sophisticated web-based games or interactive applications, another solution is required. It is a goal of this specification to include the capabilities found in modern game audio engines as well as some of the mixing, processing, and filtering tasks that are found in modern desktop audio production applications. Modular routing for simple or complex mixing/effect architectures, including multiple sends and submixes. Sample-accurate scheduled sound playback with low latency for musical applications requiring a very high degree of rhythmic precision such as drum machines and sequencers. This also includes the possibility of dynamic creation of effects. Automation of audio parameters for envelopes, fade-ins / fade-outs, granular effects, filter sweeps, LFOs etc. Flexible handling of channels in an audio stream, allowing them to be split and merged. Processing of audio sources from an audio or video media element. Processing live audio input using a MediaStream from getUserMedia(). Processing audio received from a remote peer using a MediaStream. Sending a generated or processed audio stream to a remote peer using a MediaStream. Efficient biquad filters for lowpass, highpass, and other common filters. Modular routing allows arbitrary connections between different AudioNode objects. Each node can have inputs and/or outputs. A source node has no inputs and a single output. A destination node has one input and no outputs, the most common example being AudioDestinationNode the final destination to the audio hardware. Other nodes such as filters can be placed between the source and destination nodes. The developer doesn't have to worry about low-level stream format details when two objects are connected together; the right thing just happens. For example, if a mono audio stream is connected to a stereo input it should just mix to left and right channels appropriately. // Create the effects nodes. // Create master wet and dry. // Connect final compressor to final destination. // Connect master dry and wet to compressor. // Connect reverb to master wet. // Create a few sources. // Start the sources now. An AudioContext interface, which contains an audio signal graph representing connections betweens AudioNodes. An AudioDestinationNode interface, an AudioNode subclass representing the final destination for all rendered audio. An AudioBuffer interface, for working with memory-resident audio assets. These can represent one-shot sounds, or longer audio clips. An AudioBufferSourceNode interface, an AudioNode which generates audio from an AudioBuffer. A MediaElementAudioSourceNode interface, an AudioNode which is the audio source from an audio, video, or other media element. A MediaStreamAudioSourceNode interface, an AudioNode which is the audio source from a MediaStream such as live audio input, or from a remote peer. A MediaStreamAudioDestinationNode interface, an AudioNode which is the audio destination to a MediaStream sent to a remote peer. An AudioProcessingEvent interface, which is an event type used with ScriptProcessorNode objects. An AudioParam interface, for controlling an individual aspect of an AudioNode's functioning, such as volume. An GainNode interface, for explicit gain control. Because inputs to AudioNodes support multiple connections (as a unity-gain summing junction), mixers can be easily built with GainNodes. A DelayNode interface, an AudioNode which applies a dynamically adjustable variable delay. An PannerNode interface, for spatializing / positioning audio in 3D space. An AudioListener interface, which works with an PannerNode for spatialization. A ConvolverNode interface, an AudioNode for applying a real-time linear effect (such as the sound of a concert hall). A AnalyserNode interface, for use with music visualizers, or other visualization applications. A ChannelSplitterNode interface, for accessing the individual channels of an audio stream in the routing graph. A ChannelMergerNode interface, for combining channels from multiple audio streams into a single audio stream. A DynamicsCompressorNode interface, an AudioNode for dynamics compression. A WaveShaperNode interface, an AudioNode which applies a non-linear waveshaping effect for distortion and other more subtle warming effects. A OscillatorNode interface, an audio source generating a periodic waveform. This interface represents a set of AudioNode objects and their connections. It allows for arbitrary routing of signals to the AudioDestinationNode (what the user ultimately hears). Nodes are created from the context and are then connected together. In most use cases, only a single AudioContext is used per document. An AudioDestinationNode with a single input representing the final destination for all audio. Usually this will represent the actual audio hardware. All AudioNodes actively rendering audio will directly or indirectly connect to destination. The sample rate (in sample-frames per second) at which the AudioContext handles audio. It is assumed that all AudioNodes in the context run at this rate. In making this assumption, sample-rate converters or "varispeed" processors are not supported in real-time processing. An AudioListener which is used for 3D spatialization. Creates an AudioBuffer of the given size. The audio data in the buffer will be zero-initialized (silent). An NOT_SUPPORTED_ERR exception will be thrown if the numberOfChannels or sampleRate are out-of-bounds, or if length is 0. The numberOfChannels parameter determines how many channels the buffer will have. An implementation must support at least 32 channels. The length parameter determines the size of the buffer in sample-frames. The sampleRate parameter describes the sample-rate of the linear PCM audio data in the buffer in sample-frames per second. An implementation must support sample-rates in at least the range 22050 to 96000. Asynchronously decodes the audio file data contained in the ArrayBuffer. The ArrayBuffer can, for example, be loaded from an XMLHttpRequest's response attribute after setting the responseType to "arraybuffer". Audio file data can be in any of the formats supported by the audio element. audioData is an ArrayBuffer containing audio file data. successCallback is a callback function which will be invoked when the decoding is finished. The single argument to this callback is an AudioBuffer representing the decoded PCM audio data. errorCallback is a callback function which will be invoked if there is an error decoding the audio file data. Queue a decoding operation to be performed on another thread. The decoding thread will attempt to decode the encoded audioData into linear PCM. If a decoding error is encountered due to the audio format not being recognized or supported, or because of corrupted/unexpected/inconsistent data then the audioData neutered state will be restored to normal and the errorCallback will be scheduled to run on the main thread's event loop and these steps will be terminated. The decoding thread will take the result, representing the decoded linear PCM audio data, and resample it to the sample-rate of the AudioContext if it is different from the sample-rate of audioData. The final result (after possibly sample-rate converting) will be stored in an AudioBuffer. The successCallback function will be scheduled to run on the main thread's event loop given the AudioBuffer from step (4) as an argument. Creates a MediaElementAudioSourceNode given an HTMLMediaElement. As a consequence of calling this method, audio playback from the HTMLMediaElement will be re-routed into the processing graph of the AudioContext. Creates a MediaStreamAudioSourceNode given a MediaStream. As a consequence of calling this method, audio playback from the MediaStream will be re-routed into the processing graph of the AudioContext. The bufferSize parameter determines the buffer size in units of sample-frames. If it's not passed in, or if the value is 0, then the implementation will choose the best buffer size for the given environment, which will be constant power of 2 throughout the lifetime of the node. Otherwise if the author explicitly specifies the bufferSize, it must be one of the following values: 256, 512, 1024, 2048, 4096, 8192, 16384. This value controls how frequently the audioprocess event is dispatched and how many sample-frames need to be processed each call. Lower values for bufferSize will result in a lower (better) latency. Higher values will be necessary to avoid audio breakup and glitches. It is recommended for authors to not specify this buffer size and allow the implementation to pick a good buffer size to balance between latency and audio quality. The numberOfInputChannels parameter (defaults to 2) and determines the number of channels for this node's input. Values of up to 32 must be supported. The numberOfOutputChannels parameter (defaults to 2) and determines the number of channels for this node's output. Values of up to 32 must be supported. It is invalid for both numberOfInputChannels and numberOfOutputChannels to be zero. Creates a DelayNode representing a variable delay line. The initial default delay time will be 0 seconds. The maxDelayTime parameter is optional and specifies the maximum delay time in seconds allowed for the delay line. If specified, this value MUST be greater than zero and less than three minutes or a NOT_SUPPORTED_ERR exception will be thrown. Creates a BiquadFilterNode representing a second order filter which can be configured as one of several common filter types. Creates a WaveShaperNode representing a non-linear distortion. Creates an ChannelSplitterNode representing a channel splitter. An exception will be thrown for invalid parameter values. The numberOfOutputs parameter determines the number of outputs. Values of up to 32 must be supported. If not specified, then 6 will be used. Creates an ChannelMergerNode representing a channel merger. An exception will be thrown for invalid parameter values. The numberOfInputs parameter determines the number of inputs. Values of up to 32 must be supported. If not specified, then 6 will be used. Creates a PeriodicWave representing a waveform containing arbitrary harmonic content. The real and imag parameters must be of type Float32Array of equal lengths greater than zero and less than or equal to 4096 or an exception will be thrown. These parameters specify the Fourier coefficients of a Fourier series representing the partials of a periodic waveform. The created PeriodicWave will be used with an OscillatorNode and will represent a normalized time-domain waveform having maximum absolute peak value of 1. 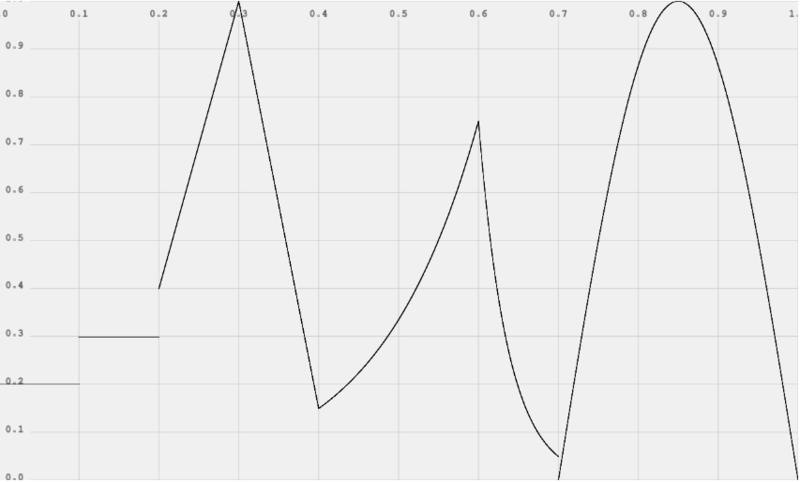 Another way of saying this is that the generated waveform of an OscillatorNode will have maximum peak value at 0dBFS. Conveniently, this corresponds to the full-range of the signal values used by the Web Audio API. Because the PeriodicWave will be normalized on creation, the real and imag parameters represent relative values. The real parameter represents an array of cosine terms (traditionally the A terms). In audio terminology, the first element (index 0) is the DC-offset of the periodic waveform and is usually set to zero. The second element (index 1) represents the fundamental frequency. The third element represents the first overtone, and so on. The imag parameter represents an array of sine terms (traditionally the B terms). The first element (index 0) should be set to zero (and will be ignored) since this term does not exist in the Fourier series. The second element (index 1) represents the fundamental frequency. The third element represents the first overtone, and so on. Once created, an AudioContext will continue to play sound until it has no more sound to play, or the page goes away. OfflineAudioContext is a particular type of AudioContext for rendering/mixing-down (potentially) faster than real-time. It does not render to the audio hardware, but instead renders as quickly as possible, calling a completion event handler with the result provided as an AudioBuffer. An EventHandler of type OfflineAudioCompletionEvent. Given the current connections and scheduled changes, starts rendering audio. The oncomplete handler will be called once the rendering has finished. This method must only be called one time or an exception will be thrown. This is an Event object which is dispatched to OfflineAudioContext. An AudioBuffer containing the rendered audio data once an OfflineAudioContext has finished rendering. It will have a number of channels equal to the numberOfChannels parameter of the OfflineAudioContext constructor. AudioNodes are the building blocks of an AudioContext. This interface represents audio sources, the audio destination, and intermediate processing modules. These modules can be connected together to form processing graphs for rendering audio to the audio hardware. Each node can have inputs and/or outputs. A source node has no inputs and a single output. An AudioDestinationNode has one input and no outputs and represents the final destination to the audio hardware. Most processing nodes such as filters will have one input and one output. 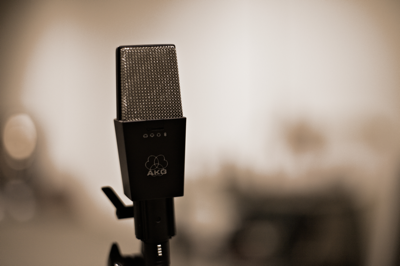 Each type of AudioNode differs in the details of how it processes or synthesizes audio. But, in general, AudioNodes will process its inputs (if it has any), and generate audio for its outputs (if it has any). Each output has one or more channels. The exact number of channels depends on the details of the specific AudioNode. An output may connect to one or more AudioNode inputs, thus fan-out is supported. An input initially has no connections, but may be connected from one or more AudioNode outputs, thus fan-in is supported. When the connect() method is called to connect an output of an AudioNode to an input of an AudioNode, we call that a connection to the input. Each AudioNode input has a specific number of channels at any given time. This number can change depending on the connection(s) made to the input. If the input has no connections then it has one channel which is silent. For each input, an AudioNode performs a mixing (usually an up-mixing) of all connections to that input. Please see Mixer Gain Structure for more informative details, and the Channel up-mixing and down-mixing section for normative requirements. For performance reasons, practical implementations will need to use block processing, with each AudioNode processing a fixed number of sample-frames of size block-size. In order to get uniform behavior across implementations, we will define this value explicitly. block-size is defined to be 128 sample-frames which corresponds to roughly 3ms at a sample-rate of 44.1KHz. AudioNodes are EventTargets, as described in DOM [DOM]. This means that it is possible to dispatch events to AudioNodes the same way that other EventTargets accept events. // Channel up-mixing and down-mixing rules for all inputs. The AudioContext which owns this AudioNode. The number of inputs feeding into the AudioNode. For source nodes, this will be 0. The number of outputs coming out of the AudioNode. This will be 0 for an AudioDestinationNode. The number of channels used when up-mixing and down-mixing connections to any inputs to the node. The default value is 2 except for specific nodes where its value is specially determined. This attribute has no effect for nodes with no inputs. If this value is set to zero, the implementation MUST raise the NOT_SUPPORTED_ERR exception. See the Channel up-mixing and down-mixing section for more information on this attribute. Determines how channels will be counted when up-mixing and down-mixing connections to any inputs to the node . This attribute has no effect for nodes with no inputs. Determines how individual channels will be treated when up-mixing and down-mixing connections to any inputs to the node. This attribute has no effect for nodes with no inputs. Connects the AudioNode to another AudioNode. The destination parameter is the AudioNode to connect to. The output parameter is an index describing which output of the AudioNode from which to connect. An out-of-bound value throws an exception. The input parameter is an index describing which input of the destination AudioNode to connect to. An out-of-bound value throws an exception. It is possible to connect an AudioNode output to more than one input with multiple calls to connect(). Thus, "fan-out" is supported. It is possible to connect an AudioNode to another AudioNode which creates a cycle. In other words, an AudioNode may connect to another AudioNode, which in turn connects back to the first AudioNode. This is allowed only if there is at least one DelayNode in the cycle or an exception will be thrown. Connects the AudioNode to an AudioParam, controlling the parameter value with an audio-rate signal. The destination parameter is the AudioParam to connect to. It is possible to connect an AudioNode output to more than one AudioParam with multiple calls to connect(). Thus, "fan-out" is supported. It is possible to connect more than one AudioNode output to a single AudioParam with multiple calls to connect(). Thus, "fan-in" is supported. An AudioParam will take the rendered audio data from any AudioNode output connected to it and convert it to mono by down-mixing if it is not already mono, then mix it together with other such outputs and finally will mix with the intrinsic parameter value (the value the AudioParam would normally have without any audio connections), including any timeline changes scheduled for the parameter. The output parameter is an index describing which output of the AudioNode to disconnect. An out-of-bound value throws an exception. An implementation may choose any method to avoid unnecessary resource usage and unbounded memory growth of unused/finished nodes. The following is a description to help guide the general expectation of how node lifetime would be managed. A playing reference for both AudioBufferSourceNodes and OscillatorNodes. These nodes maintain a playing reference to themselves while they are currently playing. A connection reference which occurs if another AudioNode is connected to it. A tail-time reference which an AudioNode maintains on itself as long as it has any internal processing state which has not yet been emitted. For example, a ConvolverNode has a tail which continues to play even after receiving silent input (think about clapping your hands in a large concert hall and continuing to hear the sound reverberate throughout the hall). Some AudioNodes have this property. Please see details for specific nodes. Any AudioNodes which are connected in a cycle and are directly or indirectly connected to the AudioDestinationNode of the AudioContext will stay alive as long as the AudioContext is alive. When an AudioNode has no references it will be deleted. But before it is deleted, it will disconnect itself from any other AudioNodes which it is connected to. In this way it releases all connection references (3) it has to other nodes. Regardless of any of the above references, it can be assumed that the AudioNode will be deleted when its AudioContext is deleted. This is an AudioNode representing the final audio destination and is what the user will ultimately hear. It can often be considered as an audio output device which is connected to speakers. All rendered audio to be heard will be routed to this node, a "terminal" node in the AudioContext's routing graph. There is only a single AudioDestinationNode per AudioContext, provided through the destination attribute of AudioContext. The maximum number of channels that the channelCount attribute can be set to. An AudioDestinationNode representing the audio hardware end-point (the normal case) can potentially output more than 2 channels of audio if the audio hardware is multi-channel. maxChannelCount is the maximum number of channels that this hardware is capable of supporting. If this value is 0, then this indicates that channelCount may not be changed. This will be the case for an AudioDestinationNode in an OfflineAudioContext and also for basic implementations with hardware support for stereo output only. channelCount defaults to 2 for a destination in a normal AudioContext, and may be set to any non-zero value less than or equal to maxChannelCount. An exception will be thrown if this value is not within the valid range. Giving a concrete example, if the audio hardware supports 8-channel output, then we may set numberOfChannels to 8, and render 8-channels of output. For an AudioDestinationNode in an OfflineAudioContext, the channelCount is determined when the offline context is created and this value may not be changed. AudioParam controls an individual aspect of an AudioNode's functioning, such as volume. The parameter can be set immediately to a particular value using the value attribute. Or, value changes can be scheduled to happen at very precise times (in the coordinate system of AudioContext.currentTime), for envelopes, volume fades, LFOs, filter sweeps, grain windows, etc. In this way, arbitrary timeline-based automation curves can be set on any AudioParam. Additionally, audio signals from the outputs of AudioNodes can be connected to an AudioParam, summing with the intrinsic parameter value. Some synthesis and processing AudioNodes have AudioParams as attributes whose values must be taken into account on a per-audio-sample basis. For other AudioParams, sample-accuracy is not important and the value changes can be sampled more coarsely. Each individual AudioParam will specify that it is either an a-rate parameter which means that its values must be taken into account on a per-audio-sample basis, or it is a k-rate parameter. Implementations must use block processing, with each AudioNode processing 128 sample-frames in each block. For each 128 sample-frame block, the value of a k-rate parameter must be sampled at the time of the very first sample-frame, and that value must be used for the entire block. a-rate parameters must be sampled for each sample-frame of the block. // Exponentially approach the target value with a rate having the given time constant. // Sets an array of arbitrary parameter values starting at time for the given duration. // The number of values will be scaled to fit into the desired duration. // Cancels all scheduled parameter changes with times greater than or equal to startTime. The parameter's floating-point value. This attribute is initialized to the defaultValue. If value is set during a time when there are any automation events scheduled then it will be ignored and no exception will be thrown. If one of these events is added at a time where there is already an event of the exact same type, then the new event will replace the old one. If one of these events is added at a time where there is already one or more events of a different type, then it will be placed in the list after them, but before events whose times are after the event. If setValueCurveAtTime() is called for time T and duration D and there are any events having a time greater than T, but less than T + D, then an exception will be thrown. In other words, it's not ok to schedule a value curve during a time period containing other events. Similarly an exception will be thrown if any automation method is called at a time which is inside of the time interval of a SetValueCurve event at time T and duration D.
Schedules a parameter value change at the given time. The value parameter is the value the parameter will change to at the given time. The startTime parameter is the time in the same time coordinate system as AudioContext.currentTime. If there are no more events after this SetValue event, then for t >= startTime, v(t) = value. In other words, the value will remain constant. If the next event (having time T1) after this SetValue event is not of type LinearRampToValue or ExponentialRampToValue, then, for t: startTime <= t < T1, v(t) = value. In other words, the value will remain constant during this time interval, allowing the creation of "step" functions. If the next event after this SetValue event is of type LinearRampToValue or ExponentialRampToValue then please see details below. Schedules a linear continuous change in parameter value from the previous scheduled parameter value to the given value. The value parameter is the value the parameter will linearly ramp to at the given time. The endTime parameter is the time in the same time coordinate system as AudioContext.currentTime. Where V0 is the value at the time T0 and V1 is the value parameter passed into this method. Schedules an exponential continuous change in parameter value from the previous scheduled parameter value to the given value. Parameters representing filter frequencies and playback rate are best changed exponentially because of the way humans perceive sound. The value parameter is the value the parameter will exponentially ramp to at the given time. An exception will be thrown if this value is less than or equal to 0, or if the value at the time of the previous event is less than or equal to 0. Start exponentially approaching the target value at the given time with a rate having the given time constant. Among other uses, this is useful for implementing the "decay" and "release" portions of an ADSR envelope. Please note that the parameter value does not immediately change to the target value at the given time, but instead gradually changes to the target value. The target parameter is the value the parameter will start changing to at the given time. The timeConstant parameter is the time-constant value of first-order filter (exponential) approach to the target value. The larger this value is, the slower the transition will be. More precisely, timeConstant is the time it takes a first-order linear continuous time-invariant system to reach the value 1 - 1/e (around 63.2%) given a step input response (transition from 0 to 1 value). Where V0 is the initial value (the .value attribute) at T0 (the startTime parameter) and V1 is equal to the target parameter. Sets an array of arbitrary parameter values starting at the given time for the given duration. The number of values will be scaled to fit into the desired duration. The values parameter is a Float32Array representing a parameter value curve. These values will apply starting at the given time and lasting for the given duration. The duration parameter is the amount of time in seconds (after the time parameter) where values will be calculated according to the values parameter..
v(t) = values[N * (t - startTime) / duration], where N is the length of the values array. After the end of the curve time interval (t >= startTime + duration), the value will remain constant at the final curve value, until there is another automation event (if any). Cancels all scheduled parameter changes with times greater than or equal to startTime. The startTime parameter is the starting time at and after which any previously scheduled parameter changes will be cancelled. It is a time in the same time coordinate system as AudioContext.currentTime. An intrinsic parameter value will be calculated at each time, which is either the value set directly to the value attribute, or, if there are any scheduled parameter changes (automation events) with times before or at this time, the value as calculated from these events. If the value attribute is set after any automation events have been scheduled, then these events will be removed. When read, the value attribute always returns the intrinsic value for the current time. If automation events are removed from a given time range, then the intrinsic value will remain unchanged and stay at its previous value until either the value attribute is directly set, or automation events are added for the time range. An AudioParam will take the rendered audio data from any AudioNode output connected to it and convert it to mono by down-mixing if it is not already mono, then mix it together with other such outputs. If there are no AudioNodes connected to it, then this value is 0, having no effect on the computedValue. The computedValue is the sum of the intrinsic value and the value calculated from (2). It multiplies the input audio signal by the (possibly time-varying) gain attribute, copying the result to the output. By default, it will take the input and pass it through to the output unchanged, which represents a constant gain change of 1. As with other AudioParams, the gain parameter represents a mapping from time (in the coordinate system of AudioContext.currentTime) to floating-point value. Every PCM audio sample in the input is multiplied by the gain parameter's value for the specific time corresponding to that audio sample. This multiplied value represents the PCM audio sample for the output. The number of channels of the output will always equal the number of channels of the input, with each channel of the input being multiplied by the gain values and being copied into the corresponding channel of the output. The implementation must make gain changes to the audio stream smoothly, without introducing noticeable clicks or glitches. This process is called "de-zippering". The number of channels of the output always equals the number of channels of the input. It delays the incoming audio signal by a certain amount. Specifically, at each time t, input signal input(t), delay time delayTime(t) and output signal output(t), the output will be output(t) = input(t - delayTime(t)). The default delayTime is 0 seconds (no delay). When the delay time is changed, the implementation must make the transition smoothly, without introducing noticeable clicks or glitches to the audio stream. This interface represents a memory-resident audio asset (for one-shot sounds and other short audio clips). Its format is non-interleaved IEEE 32-bit linear PCM with a nominal range of -1 -> +1. It can contain one or more channels. Typically, it would be expected that the length of the PCM data would be fairly short (usually somewhat less than a minute). For longer sounds, such as music soundtracks, streaming should be used with the audio element and MediaElementAudioSourceNode. An AudioBuffer may be used by one or more AudioContexts. The sample-rate for the PCM audio data in samples per second. Length of the PCM audio data in sample-frames. 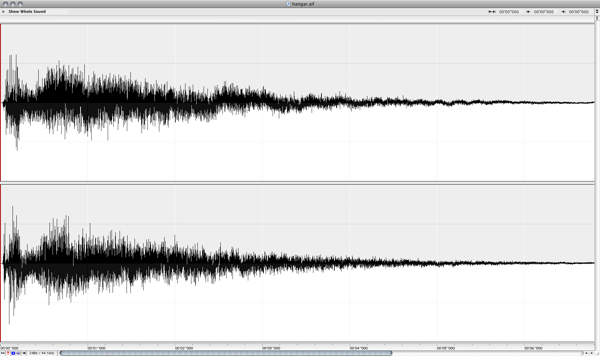 Duration of the PCM audio data in seconds. The number of discrete audio channels. Returns the Float32Array representing the PCM audio data for the specific channel. The channel parameter is an index representing the particular channel to get data for. An index value of 0 represents the first channel. This index value MUST be less than numberOfChannels or an exception will be thrown. This interface represents an audio source from an in-memory audio asset in an AudioBuffer. It is useful for playing short audio assets which require a high degree of scheduling flexibility (can playback in rhythmically perfect ways). The start() method is used to schedule when sound playback will happen. The playback will stop automatically when the buffer's audio data has been completely played (if the loop attribute is false), or when the stop() method has been called and the specified time has been reached. Please see more details in the start() and stop() description. start() and stop() may not be issued multiple times for a given AudioBufferSourceNode. The number of channels of the output always equals the number of channels of the AudioBuffer assigned to the .buffer attribute, or is one channel of silence if .buffer is NULL. Represents the audio asset to be played. Indicates if the audio data should play in a loop. The default value is false. An optional value in seconds where looping should begin if the loop attribute is true. Its default value is 0, and it may usefully be set to any value between 0 and the duration of the buffer. An optional value in seconds where looping should end if the loop attribute is true. Its default value is 0, and it may usefully be set to any value between 0 and the duration of the buffer. A property used to set the EventHandler (described in HTML ) for the ended event that is dispatched to AudioBufferSourceNode node types. When the playback of the buffer for an AudioBufferSourceNode is finished, an event of type Event (described in HTML ) will be dispatched to the event handler. The when parameter describes at what time (in seconds) the sound should start playing. It is in the same time coordinate system as AudioContext.currentTime. If 0 is passed in for this value or if the value is less than currentTime, then the sound will start playing immediately. start may only be called one time and must be called before stop is called or an exception will be thrown. The offset parameter describes the offset time in the buffer (in seconds) where playback will begin. If 0 is passed in for this value, then playback will start from the beginning of the buffer. The duration parameter describes the duration of the portion (in seconds) to be played. If this parameter is not passed, the duration will be equal to the total duration of the AudioBuffer minus the offset parameter. Thus if neither offset nor duration are specified then the implied duration is the total duration of the AudioBuffer. The when parameter describes at what time (in seconds) the sound should stop playing. It is in the same time coordinate system as AudioContext.currentTime. If 0 is passed in for this value or if the value is less than currentTime, then the sound will stop playing immediately. stop must only be called one time and only after a call to start or stop, or an exception will be thrown. If the loop attribute is true when start() is called, then playback will continue indefinitely until stop() is called and the stop time is reached. We'll call this "loop" mode. Playback always starts at the point in the buffer indicated by the offset argument of start(), and in loop mode will continue playing until it reaches the actualLoopEnd position in the buffer (or the end of the buffer), at which point it will wrap back around to the actualLoopStart position in the buffer, and continue playing according to this pattern. Note that the default values for loopStart and loopEnd are both 0, which indicates that looping should occur from the very start Note that the default values for loopStart and loopEnd are both 0, which indicates that looping should occur from the very start to the very end of the buffer. Please note that as a low-level implementation detail, the AudioBuffer is at a specific sample-rate (usually the same as the AudioContext sample-rate), and that the loop times (in seconds) must be converted to the appropriate sample-frame positions in the buffer according to this sample-rate. This interface represents an audio source from an audio or video element. The number of channels of the output corresponds to the number of channels of the media referenced by the HTMLMediaElement. Thus, changes to the media element's .src attribute can change the number of channels output by this node. If the .src attribute is not set, then the number of channels output will be one silent channel. A MediaElementAudioSourceNode is created given an HTMLMediaElement using the AudioContext createMediaElementSource() method. The number of channels of the single output equals the number of channels of the audio referenced by the HTMLMediaElement passed in as the argument to createMediaElementSource(), or is 1 if the HTMLMediaElement has no audio. The HTMLMediaElement must behave in an identical fashion after the MediaElementAudioSourceNode has been created, except that the rendered audio will no longer be heard directly, but instead will be heard as a consequence of the MediaElementAudioSourceNode being connected through the routing graph. Thus pausing, seeking, volume, .src attribute changes, and other aspects of the HTMLMediaElement must behave as they normally would if not used with a MediaElementAudioSourceNode. The ScriptProcessorNode is constructed with a bufferSize which must be one of the following values: 256, 512, 1024, 2048, 4096, 8192, 16384. This value controls how frequently the audioprocess event is dispatched and how many sample-frames need to be processed each call. audioprocess events are only dispatched if the ScriptProcessorNode has at least one input or one output connected. Lower numbers for bufferSize will result in a lower (better) latency. Higher numbers will be necessary to avoid audio breakup and glitches. This value will be picked by the implementation if the bufferSize argument to createScriptProcessor is not passed in, or is set to 0.
numberOfInputChannels and numberOfOutputChannels determine the number of input and output channels. It is invalid for both numberOfInputChannels and numberOfOutputChannels to be zero. A property used to set the EventHandler (described in HTML ) for the audioprocess event that is dispatched to ScriptProcessorNode node types. An event of type AudioProcessingEvent will be dispatched to the event handler. The size of the buffer (in sample-frames) which needs to be processed each time onaudioprocess is called. Legal values are (256, 512, 1024, 2048, 4096, 8192, 16384). This is an Event object which is dispatched to ScriptProcessorNode nodes. The event handler processes audio from the input (if any) by accessing the audio data from the inputBuffer attribute. The audio data which is the result of the processing (or the synthesized data if there are no inputs) is then placed into the outputBuffer. An AudioBuffer containing the input audio data. It will have a number of channels equal to the numberOfInputChannels parameter of the createScriptProcessor() method. This AudioBuffer is only valid while in the scope of the onaudioprocess function. Its values will be meaningless outside of this scope. An AudioBuffer where the output audio data should be written. It will have a number of channels equal to the numberOfOutputChannels parameter of the createScriptProcessor() method. Script code within the scope of the onaudioprocess function is expected to modify the Float32Array arrays representing channel data in this AudioBuffer. Any script modifications to this AudioBuffer outside of this scope will not produce any audible effects. This interface represents a processing node which positions / spatializes an incoming audio stream in three-dimensional space. The spatialization is in relation to the AudioContext's AudioListener (listener attribute). The audio stream from the input will be either mono or stereo, depending on the connection(s) to the input. The output of this node is hard-coded to stereo (2 channels) and currently cannot be configured. Determines which spatialization algorithm will be used to position the audio in 3D space. The default is "HRTF". A simple and efficient spatialization algorithm using equal-power panning. A higher quality spatialization algorithm using a convolution with measured impulse responses from human subjects. This panning method renders stereo output. Determines which algorithm will be used to reduce the volume of an audio source as it moves away from the listener. The default is "inverse". A reference distance for reducing volume as source move further from the listener. The default value is 1. The maximum distance between source and listener, after which the volume will not be reduced any further. The default value is 10000. Describes how quickly the volume is reduced as source moves away from listener. The default value is 1. A parameter for directional audio sources, this is an angle, inside of which there will be no volume reduction. The default value is 360. A parameter for directional audio sources, this is an angle, outside of which the volume will be reduced to a constant value of coneOuterGain. The default value is 360. A parameter for directional audio sources, this is the amount of volume reduction outside of the coneOuterAngle. The default value is 0. Sets the position of the audio source relative to the listener attribute. A 3D cartesian coordinate system is used. The x, y, z parameters represent the coordinates in 3D space. Describes which direction the audio source is pointing in the 3D cartesian coordinate space. Depending on how directional the sound is (controlled by the cone attributes), a sound pointing away from the listener can be very quiet or completely silent. The x, y, z parameters represent a direction vector in 3D space. Sets the velocity vector of the audio source. This vector controls both the direction of travel and the speed in 3D space. This velocity relative to the listener's velocity is used to determine how much doppler shift (pitch change) to apply. The units used for this vector is meters / second and is independent of the units used for position and orientation vectors. The x, y, z parameters describe a direction vector indicating direction of travel and intensity. This interface represents the position and orientation of the person listening to the audio scene. All PannerNode objects spatialize in relation to the AudioContext's listener. See this section for more details about spatialization. A constant used to determine the amount of pitch shift to use when rendering a doppler effect. The default value is 1. The speed of sound used for calculating doppler shift. The default value is 343.3. Sets the position of the listener in a 3D cartesian coordinate space. PannerNode objects use this position relative to individual audio sources for spatialization. Describes which direction the listener is pointing in the 3D cartesian coordinate space. Both a front vector and an up vector are provided. In simple human terms, the front vector represents which direction the person's nose is pointing. The up vector represents the direction the top of a person's head is pointing. These values are expected to be linearly independent (at right angles to each other). For normative requirements of how these values are to be interpreted, see the spatialization section. Sets the velocity vector of the listener. This vector controls both the direction of travel and the speed in 3D space. This velocity relative to an audio source's velocity is used to determine how much doppler shift (pitch change) to apply. The units used for this vector is meters / second and is independent of the units used for position and orientation vectors. This interface represents a processing node which applies a linear convolution effect given an impulse response. Normative requirements for multi-channel convolution matrixing are described here. A mono, stereo, or 4-channel AudioBuffer containing the (possibly multi-channel) impulse response used by the ConvolverNode. This AudioBuffer must be of the same sample-rate as the AudioContext or an exception will be thrown. At the time when this attribute is set, the buffer and the state of the normalize attribute will be used to configure the ConvolverNode with this impulse response having the given normalization. The initial value of this attribute is null. Controls whether the impulse response from the buffer will be scaled by an equal-power normalization when the buffer atttribute is set. Its default value is true in order to achieve a more uniform output level from the convolver when loaded with diverse impulse responses. If normalize is set to false, then the convolution will be rendered with no pre-processing/scaling of the impulse response. Changes to this value do not take effect until the next time the buffer attribute is set. If the normalize attribute is false when the buffer attribute is set then the ConvolverNode will perform a linear convolution given the exact impulse response contained within the buffer. // Normalize by RMS power. // Protect against accidental overload. // Calibrate to make perceived volume same as unprocessed. During processing, the ConvolverNode will then take this calculated normalizationScale value and multiply it by the result of the linear convolution resulting from processing the input with the impulse response (represented by the buffer) to produce the final output. Or any mathematically equivalent operation may be used, such as pre-multiplying the input by normalizationScale, or pre-multiplying a version of the impulse-response by normalizationScale. numberOfOutputs : 1    Note that this output may be left unconnected. The size of the FFT used for frequency-domain analysis. This must be a non-zero power of two in the range 32 to 2048, otherwise an INDEX_SIZE_ERR exception MUST be thrown. The default value is 2048. The minimum power value in the scaling range for the FFT analysis data for conversion to unsigned byte values. The default value is -100. If the value of this attribute is set to a value more than or equal to maxDecibels, an INDEX_SIZE_ERR exception MUST be thrown. The maximum power value in the scaling range for the FFT analysis data for conversion to unsigned byte values. The default value is -30. If the value of this attribute is set to a value less than or equal to minDecibels, an INDEX_SIZE_ERR exception MUST be thrown. A value from 0 -> 1 where 0 represents no time averaging with the last analysis frame. The default value is 0.8. If the value of this attribute is set to a value less than 0 or more than 1, an INDEX_SIZE_ERR exception MUST be thrown. Copies the current frequency data into the passed floating-point array. If the array has fewer elements than the frequencyBinCount, the excess elements will be dropped. If the array has more elements than the frequencyBinCount, the excess elements will be ignored. The array parameter is where frequency-domain analysis data will be copied. Copies the current frequency data into the passed unsigned byte array. If the array has fewer elements than the frequencyBinCount, the excess elements will be dropped. If the array has more elements than the frequencyBinCount, the excess elements will be ignored. Copies the current time-domain (waveform) data into the passed unsigned byte array. If the array has fewer elements than the fftSize, the excess elements will be dropped. If the array has more elements than fftSize, the excess elements will be ignored. The array parameter is where time-domain analysis data will be copied. The ChannelSplitterNode is for use in more advanced applications and would often be used in conjunction with ChannelMergerNode. This interface represents an AudioNode for accessing the individual channels of an audio stream in the routing graph. It has a single input, and a number of "active" outputs which equals the number of channels in the input audio stream. For example, if a stereo input is connected to an ChannelSplitterNode then the number of active outputs will be two (one from the left channel and one from the right). There are always a total number of N outputs (determined by the numberOfOutputs parameter to the AudioContext method createChannelSplitter()), The default number is 6 if this value is not provided. Any outputs which are not "active" will output silence and would typically not be connected to anything. 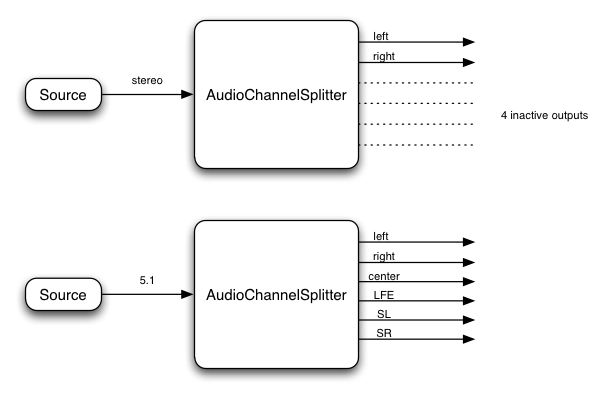 Please note that in this example, the splitter does not interpret the channel identities (such as left, right, etc. ), but simply splits out channels in the order that they are input. One application for ChannelSplitterNode is for doing "matrix mixing" where individual gain control of each channel is desired. The ChannelMergerNode is for use in more advanced applications and would often be used in conjunction with ChannelSplitterNode. This interface represents an AudioNode for combining channels from multiple audio streams into a single audio stream. It has a variable number of inputs (defaulting to 6), but not all of them need be connected. There is a single output whose audio stream has a number of channels equal to the sum of the numbers of channels of all the connected inputs. For example, if an ChannelMergerNode has two connected inputs (both stereo), then the output will be four channels, the first two from the first input and the second two from the second input. In another example with two connected inputs (both mono), the output will be two channels (stereo), with the left channel coming from the first input and the right channel coming from the second input. Please note that in this example, the merger does not interpret the channel identities (such as left, right, etc. ), but simply combines channels in the order that they are input. 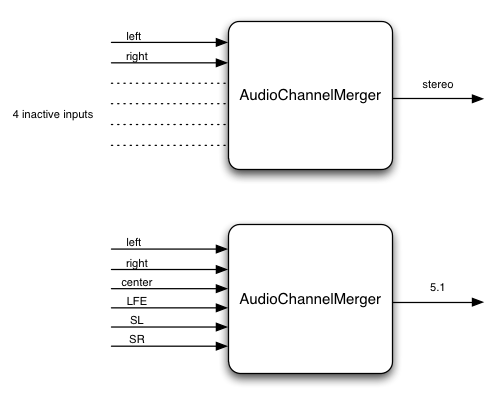 Be aware that it is possible to connect an ChannelMergerNode in such a way that it outputs an audio stream with a large number of channels greater than the maximum supported by the audio hardware. In this case where such an output is connected to the AudioContext .destination (the audio hardware), then the extra channels will be ignored. Thus, the ChannelMergerNode should be used in situations where the number of channels is well understood. 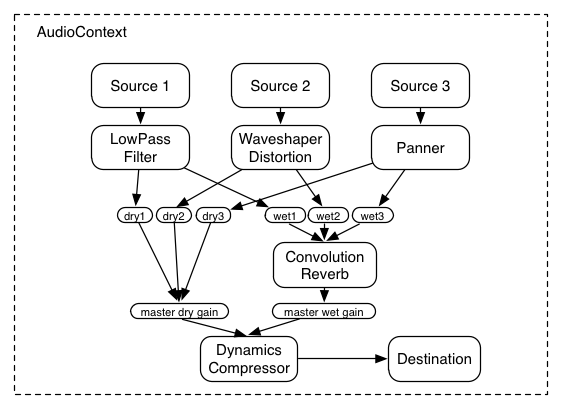 DynamicsCompressorNode is an AudioNode processor implementing a dynamics compression effect. Dynamics compression is very commonly used in musical production and game audio. It lowers the volume of the loudest parts of the signal and raises the volume of the softest parts. 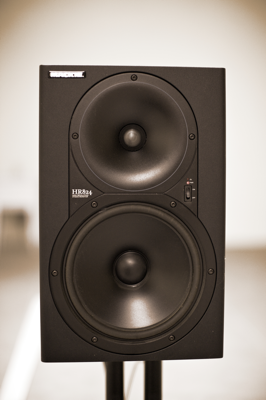 Overall, a louder, richer, and fuller sound can be achieved. It is especially important in games and musical applications where large numbers of individual sounds are played simultaneous to control the overall signal level and help avoid clipping (distorting) the audio output to the speakers. The decibel value above which the compression will start taking effect. Its default value is -24, with a nominal range of -100 to 0. A decibel value representing the range above the threshold where the curve smoothly transitions to the "ratio" portion. Its default value is 30, with a nominal range of 0 to 40. The amount of dB change in input for a 1 dB change in output. Its default value is 12, with a nominal range of 1 to 20. A read-only decibel value for metering purposes, representing the current amount of gain reduction that the compressor is applying to the signal. If fed no signal the value will be 0 (no gain reduction). The nominal range is -20 to 0. The amount of time (in seconds) to reduce the gain by 10dB. Its default value is 0.003, with a nominal range of 0 to 1. The amount of time (in seconds) to increase the gain by 10dB. Its default value is 0.250, with a nominal range of 0 to 1. BiquadFilterNode is an AudioNode processor implementing very common low-order filters. Low-order filters are the building blocks of basic tone controls (bass, mid, treble), graphic equalizers, and more advanced filters. Multiple BiquadFilterNode filters can be combined to form more complex filters. The filter parameters such as "frequency" can be changed over time for filter sweeps, etc. Each BiquadFilterNode can be configured as one of a number of common filter types as shown in the IDL below. The default filter type is "lowpass". The filter types are briefly described below. We note that all of these filters are very commonly used in audio processing. In terms of implementation, they have all been derived from standard analog filter prototypes. For more technical details, we refer the reader to the excellent reference by Robert Bristow-Johnson. 350Hz, with a nominal range of 10 to the Nyquist frequency (half the sample-rate). 1, with a nominal range of 0.0001 to 1000. 0, with a nominal range of -40 to 40. A lowpass filter allows frequencies below the cutoff frequency to pass through and attenuates frequencies above the cutoff. It implements a standard second-order resonant lowpass filter with 12dB/octave rolloff. Controls how peaked the response will be at the cutoff frequency. A large value makes the response more peaked. Please note that for this filter type, this value is not a traditional Q, but is a resonance value in decibels. A highpass filter is the opposite of a lowpass filter. Frequencies above the cutoff frequency are passed through, but frequencies below the cutoff are attenuated. It implements a standard second-order resonant highpass filter with 12dB/octave rolloff. A bandpass filter allows a range of frequencies to pass through and attenuates the frequencies below and above this frequency range. It implements a second-order bandpass filter. Controls the width of the band. The width becomes narrower as the Q value increases. The lowshelf filter allows all frequencies through, but adds a boost (or attenuation) to the lower frequencies. It implements a second-order lowshelf filter. The upper limit of the frequences where the boost (or attenuation) is applied. Not used in this filter type. The boost, in dB, to be applied. If the value is negative, the frequencies are attenuated. The lower limit of the frequences where the boost (or attenuation) is applied. The peaking filter allows all frequencies through, but adds a boost (or attenuation) to a range of frequencies. The center frequency of where the boost is applied. Controls the width of the band of frequencies that are boosted. A large value implies a narrow width. The notch filter (also known as a band-stop or band-rejection filter) is the opposite of a bandpass filter. It allows all frequencies through, except for a set of frequencies. The center frequency of where the notch is applied. Controls the width of the band of frequencies that are attenuated. A large value implies a narrow width. The frequency where the center of the phase transition occurs. Viewed another way, this is the frequency with maximal group delay. Controls how sharp the phase transition is at the center frequency. A larger value implies a sharper transition and a larger group delay. Given the current filter parameter settings, calculates the frequency response for the specified frequencies. The frequencyHz parameter specifies an array of frequencies at which the response values will be calculated. The magResponse parameter specifies an output array receiving the linear magnitude response values. The phaseResponse parameter specifies an output array receiving the phase response values in radians. WaveShaperNode is an AudioNode processor implementing non-linear distortion effects. Non-linear waveshaping distortion is commonly used for both subtle non-linear warming, or more obvious distortion effects. Arbitrary non-linear shaping curves may be specified. The shaping curve used for the waveshaping effect. The input signal is nominally within the range -1 -> +1. Each input sample within this range will index into the shaping curve with a signal level of zero corresponding to the center value of the curve array. Any sample value less than -1 will correspond to the first value in the curve array. Any sample value greater than +1 will correspond to the last value in the curve array. The implementation must perform linear interpolation between adjacent points in the curve. Initially the curve attribute is null, which means that the WaveShaperNode will pass its input to its output without modification. Specifies what type of oversampling (if any) should be used when applying the shaping curve. The default value is "none", meaning the curve will be applied directly to the input samples. A value of "2x" or "4x" can improve the quality of the processing by avoiding some aliasing, with the "4x" value yielding the highest quality. For some applications, it's better to use no oversampling in order to get a very precise shaping curve. Up-sample the input samples to 2x or 4x the sample-rate of the AudioContext. Thus for each processing block of 128 samples, generate 256 (for 2x) or 512 (for 4x) samples. Down-sample the result back to the sample-rate of the AudioContext. Thus taking the 256 (or 512) processed samples, generating 128 as the final result. The exact up-sampling and down-sampling filters are not specified, and can be tuned for sound quality (low aliasing, etc. ), low latency, and performance. OscillatorNode represents an audio source generating a periodic waveform. It can be set to a few commonly used waveforms. Additionally, it can be set to an arbitrary periodic waveform through the use of a PeriodicWave object. Oscillators are common foundational building blocks in audio synthesis. An OscillatorNode will start emitting sound at the time specified by the start() method. Mathematically speaking, a continuous-time periodic waveform can have very high (or infinitely high) frequency information when considered in the frequency domain. When this waveform is sampled as a discrete-time digital audio signal at a particular sample-rate, then care must be taken to discard (filter out) the high-frequency information higher than the Nyquist frequency (half the sample-rate) before converting the waveform to a digital form. If this is not done, then aliasing of higher frequencies (than the Nyquist frequency) will fold back as mirror images into frequencies lower than the Nyquist frequency. In many cases this will cause audibly objectionable artifacts. This is a basic and well understood principle of audio DSP. There are several practical approaches that an implementation may take to avoid this aliasing. But regardless of approach, the idealized discrete-time digital audio signal is well defined mathematically. The trade-off for the implementation is a matter of implementation cost (in terms of CPU usage) versus fidelity to achieving this ideal. It is expected that an implementation will take some care in achieving this ideal, but it is reasonable to consider lower-quality, less-costly approaches on lower-end hardware. The OscillatorNode's instantaneous phase at each time is the time integral of computedFrequency. The shape of the periodic waveform. It may directly be set to any of the type constant values except for "custom". The setPeriodicWave() method can be used to set a custom waveform, which results in this attribute being set to "custom". The default value is "sine". A property used to set the EventHandler (described in HTML ) for the ended event that is dispatched to OscillatorNode node types. When the playback of the buffer for an OscillatorNode is finished, an event of type Event (described in HTML ) will be dispatched to the event handler. Sets an arbitrary custom periodic waveform given a PeriodicWave. PeriodicWave represents an arbitrary periodic waveform to be used with an OscillatorNode. Please see createPeriodicWave() and setPeriodicWave() and for more details. This interface represents an audio source from a MediaStream. The first AudioMediaStreamTrack from the MediaStream will be used as a source of audio. The number of channels of the output corresponds to the number of channels of the AudioMediaStreamTrack. If there is no valid audio track, then the number of channels output will be one silent channel. This interface is an audio destination representing a MediaStream with a single AudioMediaStreamTrack. This MediaStream is created when the node is created and is accessible via the stream attribute. This stream can be used in a similar way as a MediaStream obtained via getUserMedia(), and can, for example, be sent to a remote peer using the RTCPeerConnection addStream() method. The number of channels of the input is by default 2 (stereo). Any connections to the input are up-mixed/down-mixed to the number of channels of the input. A MediaStream containing a single AudioMediaStreamTrack with the same number of channels as the node itself. One of the most important considerations when dealing with audio processing graphs is how to adjust the gain (volume) at various points. For example, in a standard mixing board model, each input bus has pre-gain, post-gain, and send-gains. Submix and master out busses also have gain control. The gain control described here can be used to implement standard mixing boards as well as other architectures. In cases where the channel layouts of the outputs do not match, a mix (usually up-mix) will occur according to the mixing rules. Using these two concepts of unity gain summing junctions and GainNodes, it's possible to construct simple or complex mixing scenarios. 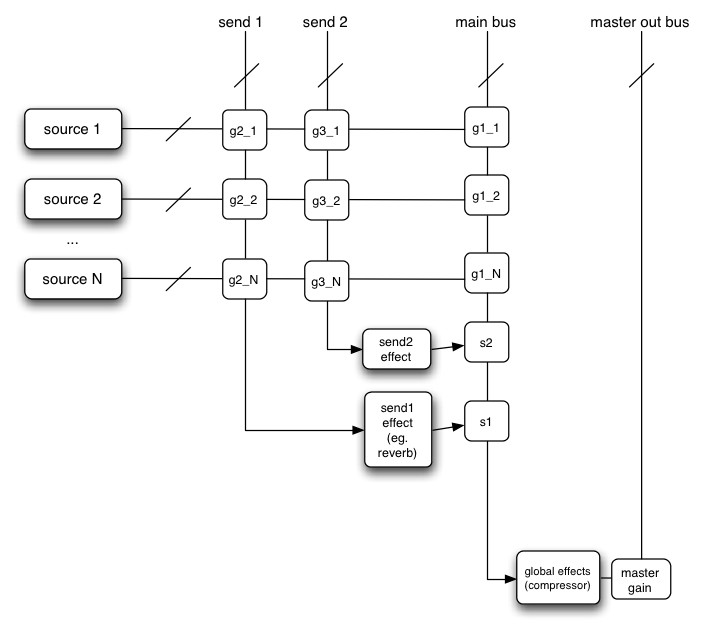 In a routing scenario involving multiple sends and submixes, explicit control is needed over the volume or "gain" of each connection to a mixer. Such routing topologies are very common and exist in even the simplest of electronic gear sitting around in a basic recording studio. // an automation curve could also be attached to it. // A "mixing board" UI could be created in canvas or WebGL controlling these gains. In addition to allowing the creation of static routing configurations, it should also be possible to do custom effect routing on dynamically allocated voices which have a limited lifetime. For the purposes of this discussion, let's call these short-lived voices "notes". Many audio applications incorporate the ideas of notes, examples being drum machines, sequencers, and 3D games with many one-shot sounds being triggered according to game play. In a traditional software synthesizer, notes are dynamically allocated and released from a pool of available resources. The note is allocated when a MIDI note-on message is received. It is released when the note has finished playing either due to it having reached the end of its sample-data (if non-looping), it having reached a sustain phase of its envelope which is zero, or due to a MIDI note-off message putting it into the release phase of its envelope. In the MIDI note-off case, the note is not released immediately, but only when the release envelope phase has finished. At any given time, there can be a large number of notes playing but the set of notes is constantly changing as new notes are added into the routing graph, and old ones are released. // Create a streaming audio source. // a one-shot sound can be played. // Create a filter, panner, and gain node. Mixer Gain Structure describes how an input to an AudioNode can be connected from one or more outputs of an AudioNode. Each of these connections from an output represents a stream with a specific non-zero number of channels. An input has mixing rules for combining the channels from all of the connections to it. As a simple example, if an input is connected from a mono output and a stereo output, then the mono connection will usually be up-mixed to stereo and summed with the stereo connection. But, of course, it's important to define the exact mixing rules for every input to every AudioNode. The default mixing rules for all of the inputs have been chosen so that things "just work" without worrying too much about the details, especially in the very common case of mono and stereo streams. But the rules can be changed for advanced use cases, especially multi-channel. To define some terms, up-mixing refers to the process of taking a stream with a smaller number of channels and converting it to a stream with a larger number of channels. down-mixing refers to the process of taking a stream with a larger number of channels and converting it to a stream with a smaller number of channels. The AudioNode attributes involved in channel up-mixing and down-mixing rules are defined above. The following is a more precise specification on what each of them mean. channelCount is used to help compute computedNumberOfChannels. channelCountMode determines how computedNumberOfChannels will be computed. Once this number is computed, all of the connections will be up or down-mixed to that many channels. For most nodes, the default value is "max". “max”: computedNumberOfChannels is computed as the maximum of the number of channels of all connections. In this mode channelCount is ignored. channelInterpretation determines how the individual channels will be treated. For example, will they be treated as speakers having a specific layout, or will they be treated as simple discrete channels? This value influences exactly how the up and down mixing is performed. The default value is "speakers". “speakers”: use up-down-mix equations for mono/stereo/quad/5.1. In cases where the number of channels do not match any of these basic speaker layouts, revert to "discrete". up-mix or down-mix the connection to computedNumberOfChannels according to channelInterpretation. Mix it together with all of the other mixed streams (from other connections). This is a straight-forward mixing together of each of the corresponding channels from each connection. When channelInterpretation is "speakers" then the up-mixing and down-mixing is defined for specific channel layouts. It's important to define the channel ordering (and define some abbreviations) for these speaker layouts. For now, only considers cases for mono, stereo, quad, 5.1. Later other channel layouts can be defined. A down-mix will be necessary, for example, if processing 5.1 source material, but playing back stereo. // Set gain node to explicit 2-channels (stereo). // Set "hardware output" to 4-channels for DJ-app with two stereo output busses. // with custom matrix mixing. // Set "hardware output" to 5.1 to play an HTMLAudioElement. // Explicitly down-mix to mono. A common feature requirement for modern 3D games is the ability to dynamically spatialize and move multiple audio sources in 3D space. Game audio engines such as OpenAL, FMOD, Creative's EAX, Microsoft's XACT Audio, etc. have this ability. 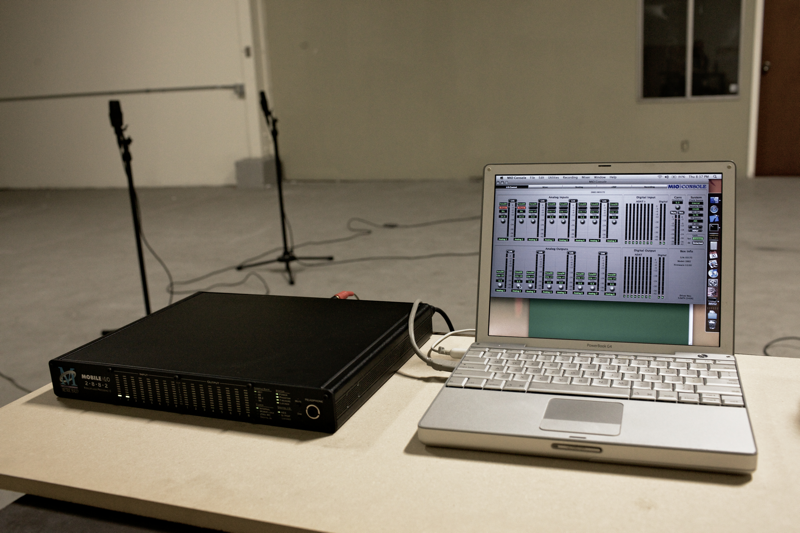 Using an PannerNode, an audio stream can be spatialized or positioned in space relative to an AudioListener. An AudioContext will contain a single AudioListener. Both panners and listeners have a position in 3D space using a right-handed cartesian coordinate system. The units used in the coordinate system are not defined, and do not need to be because the effects calculated with these coordinates are independent/invariant of any particular units such as meters or feet. PannerNode objects (representing the source stream) have an orientation vector representing in which direction the sound is projecting. Additionally, they have a sound cone representing how directional the sound is. For example, the sound could be omnidirectional, in which case it would be heard anywhere regardless of its orientation, or it can be more directional and heard only if it is facing the listener. AudioListener objects (representing a person's ears) have an orientation and up vector representing in which direction the person is facing. Because both the source stream and the listener can be moving, they both have a velocity vector representing both the speed and direction of movement. Taken together, these two velocities can be used to generate a doppler shift effect which changes the pitch. During rendering, the PannerNode calculates an azimuth and elevation. These values are used internally by the implementation in order to render the spatialization effect. See the Panning Algorithm section for details of how these values are used. // Calculate the source-listener vector. // Handle degenerate case if source and listener are at the same point. // Source in front or behind the listener. // Make azimuth relative to "front" and not "right" listener vector. mono->stereo and stereo->stereo panning must be supported. 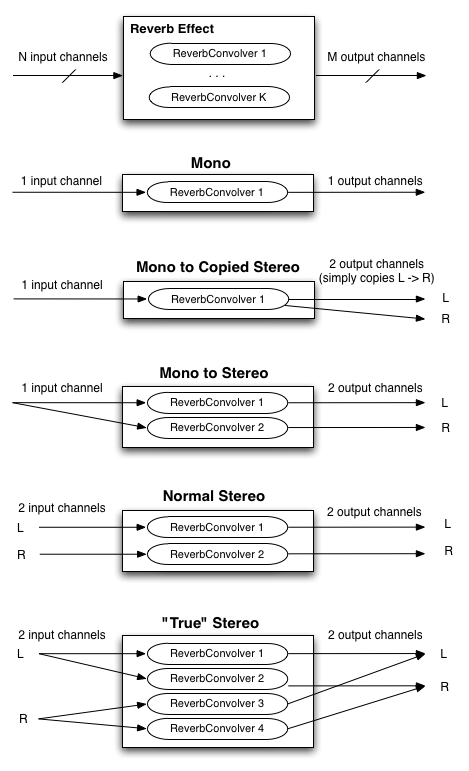 mono->stereo processing is used when all connections to the input are mono. Otherwise stereo->stereo processing is used. This is a simple and relatively inexpensive algorithm which provides basic, but reasonable results. It is commonly used when panning musical sources. The elevation value is ignored in this panning algorithm. // Clamp azimuth to allowed range of -180 -> +180. // Now wrap to range -90 -> +90. // by transforming the "azimuth" value from -90 -> 0 degrees into the range -90 -> +90. // by transforming the "azimuth" value from 0 -> +90 degrees into the range -90 -> +90. This requires a set of HRTF impulse responses recorded at a variety of azimuths and elevations. There are a small number of open/free impulse responses available. The implementation requires a highly optimized convolution function. It is somewhat more costly than "equal-power", but provides a more spatialized sound. Sounds which are closer are louder, while sounds further away are quieter. Exactly how a sound's volume changes according to distance from the listener depends on the distanceModel attribute. distance will then be used to calculate distanceGain which depends on the distanceModel attribute. See the distanceModel section for details of how this is calculated for each distance model. As part of its processing, the PannerNode scales/multiplies the input audio signal by distanceGain to make distant sounds quieter and nearer ones louder. The listener and each sound source have an orientation vector describing which way they are facing. Each sound source's sound projection characteristics are described by an inner and outer "cone" describing the sound intensity as a function of the source/listener angle from the source's orientation vector. Thus, a sound source pointing directly at the listener will be louder than if it is pointed off-axis. Sound sources can also be omni-directional. Introduces a pitch shift which can realistically simulate moving sources. Depends on: source / listener velocity vectors, speed of sound, doppler factor. // Calculate the source to listener vector. // Limit the pitch shifting to 4 octaves up and 3 octaves down. Each unique effect is defined by an impulse response. An impulse response can be represented as an audio file and can be recorded from a real acoustic space such as a cave, or can be synthetically generated through a great variety of techniques. A key feature of many game audio engines (OpenAL, FMOD, Creative's EAX, Microsoft's XACT Audio, etc.) is a reverberation effect for simulating the sound of being in an acoustic space. But the code used to generate the effect has generally been custom and algorithmic (generally using a hand-tweaked set of delay lines and allpass filters which feedback into each other). In nearly all cases, not only is the implementation custom, but the code is proprietary and closed-source, each company adding its own "black magic" to achieve its unique quality. Each implementation being custom with a different set of parameters makes it impossible to achieve a uniform desired effect. And the code being proprietary makes it impossible to adopt a single one of the implementations as a standard. Additionally, algorithmic reverberation effects are limited to a relatively narrow range of different effects, regardless of how the parameters are tweaked. A convolution effect solves these problems by using a very precisely defined mathematical algorithm as the basis of its processing. An impulse response represents an exact sound effect to be applied to an audio stream and is easily represented by an audio file which can be referenced by URL. The range of possible effects is enormous. Linear convolution can be implemented efficiently. Here are some notes describing how it can be practically implemented. In the general case the source has N input channels, the impulse response has K channels, and the playback system has M output channels. Thus it's a matter of how to matrix these channels to achieve the final result. The subset of N, M, K below must be implemented (note that the first image in the diagram is just illustrating the general case and is not normative, while the following images are normative). Without loss of generality, developers desiring more complex and arbitrary matrixing can use multiple ConvolverNode objects in conjunction with an ChannelMergerNode. Single channel convolution operates on a mono audio input, using a mono impulse response, and generating a mono output. But to achieve a more spacious sound, 2 channel audio inputs and 1, 2, or 4 channel impulse responses will be considered. The following diagram, illustrates the common cases for stereo playback where N and M are 1 or 2 and K is 1, 2, or 4. The most modern and accurate way to record the impulse response of a real acoustic space is to use a long exponential sine sweep. The test-tone can be as long as 20 or 30 seconds, or longer. 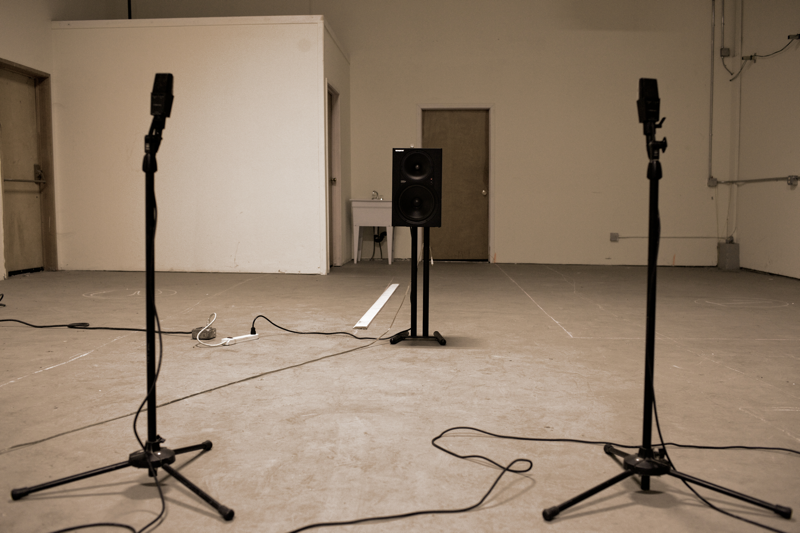 Several recordings of the test tone played through a speaker can be made with microphones placed and oriented at various positions in the room. It's important to document speaker placement/orientation, the types of microphones, their settings, placement, and orientations for each recording taken. Unusual and interesting custom audio processing can be done directly in JS. It's also a good test-bed for prototyping new algorithms. This is an extremely rich area. 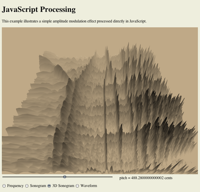 JS processing is ideal for illustrating concepts in computer music synthesis and processing, such as showing the de-composition of a square wave into its harmonic components, FM synthesis techniques, etc. For web applications, the time delay between mouse and keyboard events (keydown, mousedown, etc.) and a sound being heard is important. This time delay is called latency and is caused by several factors (input device latency, internal buffering latency, DSP processing latency, output device latency, distance of user's ears from speakers, etc. ), and is cummulative. The larger this latency is, the less satisfying the user's experience is going to be. In the extreme, it can make musical production or game-play impossible. At moderate levels it can affect timing and give the impression of sounds lagging behind or the game being non-responsive. For musical applications the timing problems affect rhythm. For gaming, the timing problems affect precision of gameplay. For interactive applications, it generally cheapens the users experience much in the same way that very low animation frame-rates do. Depending on the application, a reasonable latency can be from as low as 3-6 milliseconds to 25-50 milliseconds. Audio glitches are caused by an interruption of the normal continuous audio stream, resulting in loud clicks and pops. It is considered to be a catastrophic failure of a multi-media system and must be avoided. It can be caused by problems with the threads responsible for delivering the audio stream to the hardware, such as scheduling latencies caused by threads not having the proper priority and time-constraints. It can also be caused by the audio DSP trying to do more work than is possible in real-time given the CPU's speed. The system should gracefully degrade to allow audio processing under resource constrained conditions without dropping audio frames. First of all, it should be clear that regardless of the platform, the audio processing load should never be enough to completely lock up the machine. Second, the audio rendering needs to produce a clean, un-interrupted audio stream without audible glitches. The system should be able to run on a range of hardware, from mobile phones and tablet devices to laptop and desktop computers. But the more limited compute resources on a phone device make it necessary to consider techniques to scale back and reduce the complexity of the audio rendering. For example, voice-dropping algorithms can be implemented to reduce the total number of notes playing at any given time. In order to avoid audio breakup, CPU usage must remain below 100%. In cases where the measured CPU usage is near 100% (or whatever threshold is considered too high), then an attempt to add additional AudioNodes into the rendering graph can trigger voice-dropping. Voice-dropping is a technique which limits the number of voices (notes) playing at the same time to keep CPU usage within a reasonable range. There can either be an upper threshold on the total number of voices allowed at any given time, or CPU usage can be dynamically monitored and voices dropped when CPU usage exceeds a threshold. Or a combination of these two techniques can be applied. When CPU usage is monitored for each voice, it can be measured all the way from a source node through any effect processing nodes which apply uniquely to that voice. When a voice is "dropped", it needs to happen in such a way that it doesn't introduce audible clicks or pops into the rendered audio stream. One way to achieve this is to quickly fade-out the rendered audio for that voice before completely removing it from the rendering graph. Older voices, which have been playing the longest can be dropped instead of more recent voices. Quieter voices, which are contributing less to the overall mix may be dropped instead of louder ones. Voices which are consuming relatively more CPU resources may be dropped instead of less "expensive" voices. An AudioNode can have a priority attribute to help determine the relative importance of the voices. Most of the effects described in this document are relatively inexpensive and will likely be able to run even on the slower mobile devices. However, the convolution effect can be configured with a variety of impulse responses, some of which will likely be too heavy for mobile devices. Generally speaking, CPU usage scales with the length of the impulse response and the number of channels it has. Thus, it is reasonable to consider that impulse responses which exceed a certain length will not be allowed to run. The exact limit can be determined based on the speed of the device. Instead of outright rejecting convolution with these long responses, it may be interesting to consider truncating the impulse responses to the maximum allowed length and/or reducing the number of channels of the impulse response. In addition to the convolution effect. 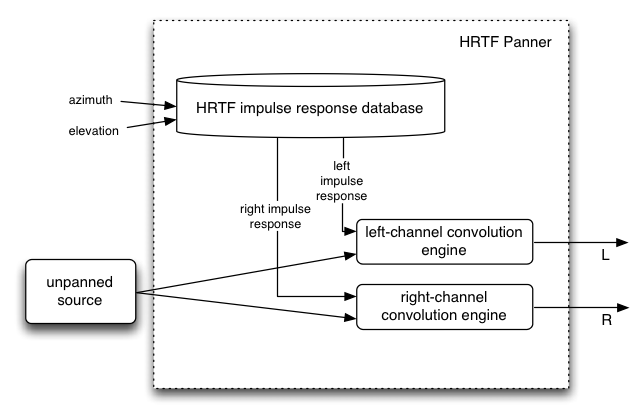 The PannerNode may also be expensive if using the HRTF panning model. For slower devices, a cheaper algorithm such as EQUALPOWER can be used to conserve compute resources. For very slow devices, it may be worth considering running the rendering at a lower sample-rate than normal. For example, the sample-rate can be reduced from 44.1KHz to 22.05KHz. This decision must be made when the AudioContext is created, because changing the sample-rate on-the-fly can be difficult to implement and will result in audible glitching when the transition is made. The problems are even more difficult with today's generation of mobile devices which have processors with relatively poor performance and power consumption / battery-life issues. Please see the demo page for working examples. Simple and low-latency playback of sound effects in response to simple user actions such as mouse click, roll-over, key press. 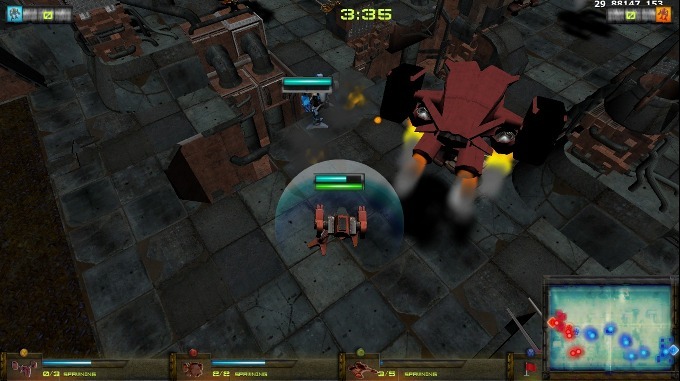 Electronic Arts has produced an impressive immersive game called Strike Fortress, taking advantage of 3D spatialization and convolution for room simulation. 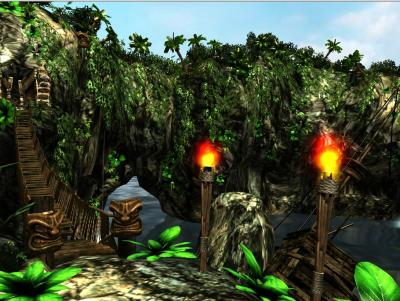 3D environments with audio are common in games made for desktop applications and game consoles. Imagine a 3D island environment with spatialized audio, seagulls flying overhead, the waves crashing against the shore, the crackling of the fire, the creaking of the bridge, and the rustling of the trees in the wind. The sounds can be positioned naturally as one moves through the scene. Even going underwater, low-pass filters can be tweaked for just the right underwater sound. Box2D is an interesting open-source library for 2D game physics. It has various implementations, including one based on Canvas 2D. A demo has been created with dynamic sound effects for each of the object collisions, taking into account the velocities vectors and positions to spatialize the sound events, and modulate audio effect parameters such as filter cutoff. A virtual pool game with multi-sampled sound effects has also been created. Many music composition and production applications are possible. Applications requiring tight scheduling of audio events can be implemented and can be both educational and entertaining. Drum machines, digital DJ applications, and even timeline-based digital music production software with some of the features of GarageBand can be written. 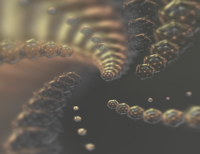 When combined with WebGL GLSL shaders, realtime analysis data can be presented in entertaining ways. These can be as advanced as any found in iTunes. A variety of educational applications can be written, illustrating concepts in music theory and computer music synthesis and processing. 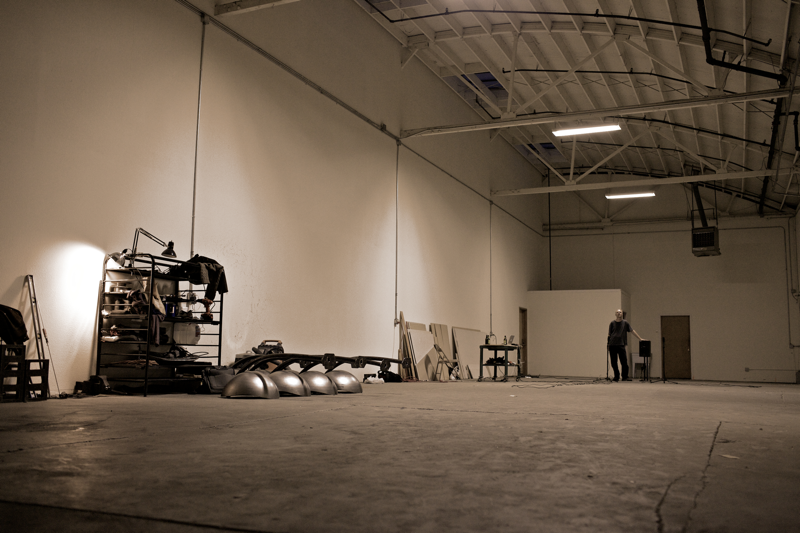 There are many creative possibilites for artistic sonic environments for installation pieces. This section is informative. When giving various information on available AudioNodes, the Web Audio API potentially exposes information on characteristic features of the client (such as audio hardware sample-rate) to any page that makes use of the AudioNode interface. Additionally, timing information can be collected through the RealtimeAnalyzerNode or ScriptProcessorNode interface. The information could subsequently be used to create a fingerprint of the client. Currently audio input is not specified in this document, but it will involve gaining access to the client machine's audio input or microphone. This will require asking the user for permission in an appropriate way, probably via the getUserMedia() API. DOM, A. van Kesteren, A. Gregor, Ms2ger. WHATWG. * Cleanup AudioNode connect() and disconnect() method descriptions. * Add AudioNode connect() to AudioParam method. * Rebased editor's draft document based on edits from Thierry Michel (from 2nd public working draft).